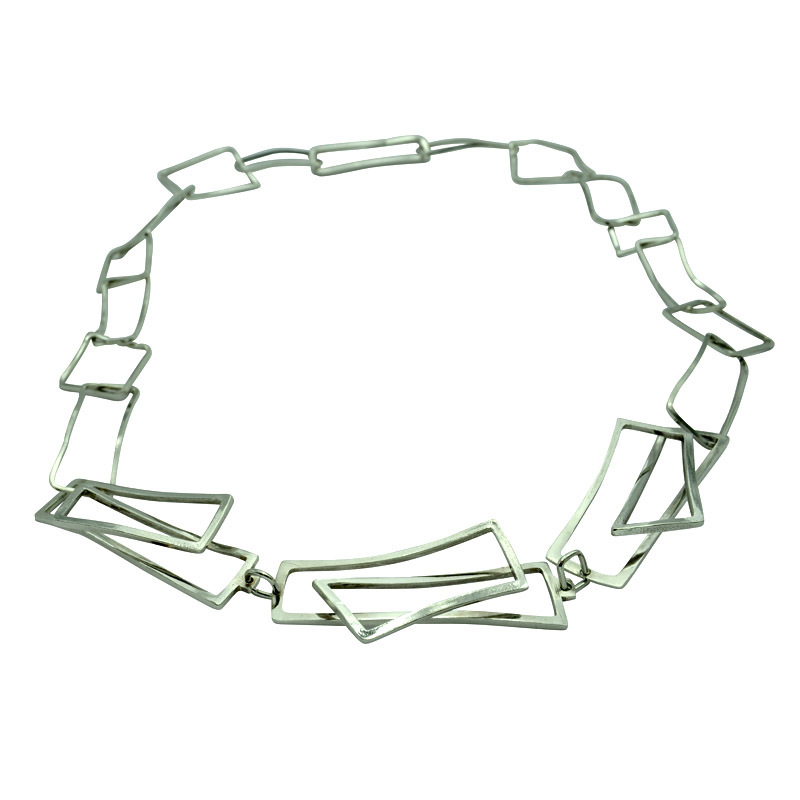 Beautifully elegant and lightweight statement silver necklace. 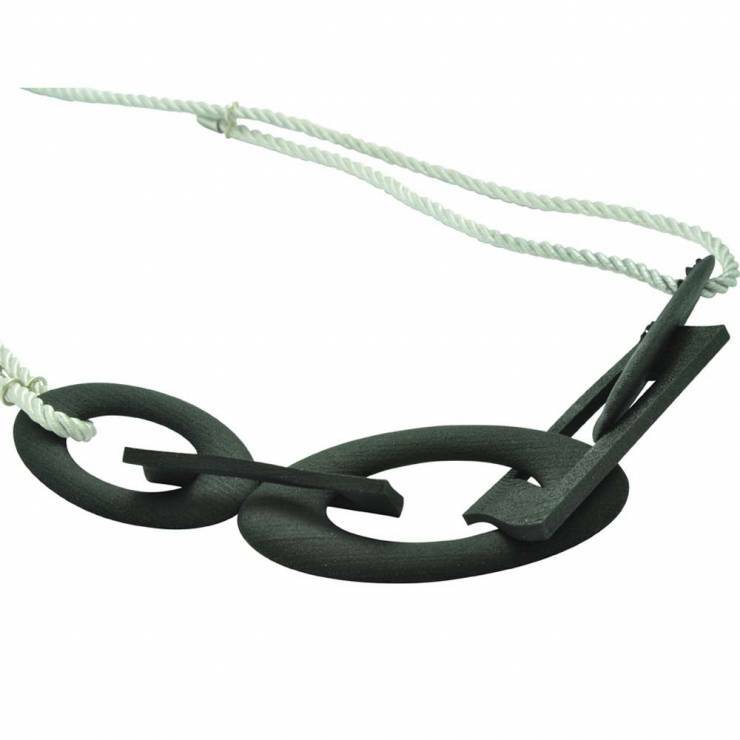 This beautiful silver component necklace is funky and stylish with influences taken from architecture. 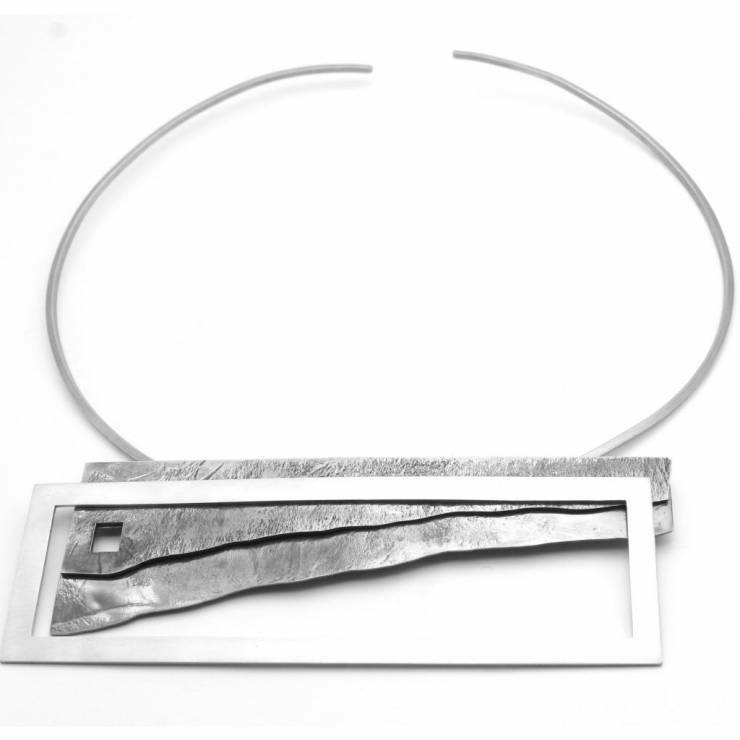 This piece has three of the large component pieces in the middle of the necklace and has handmade rectangular silver links with a handmade rectangular, keyring styled catch. I enjoy designing and making unusual jewellery and love to design special catches to match my statement pieces. 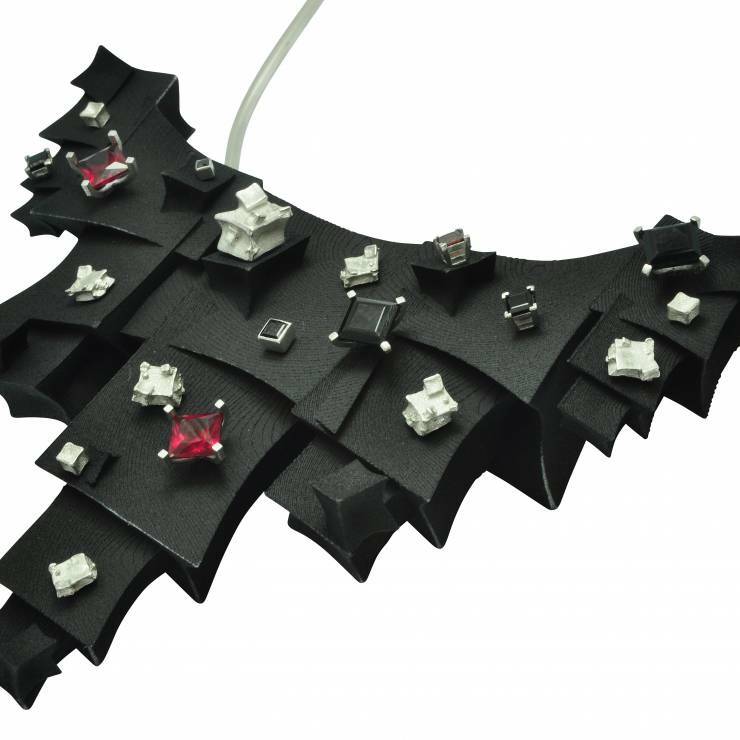 This allows the whole piece to flow and you can wear it in numerous ways and can clip shorter if you wish. 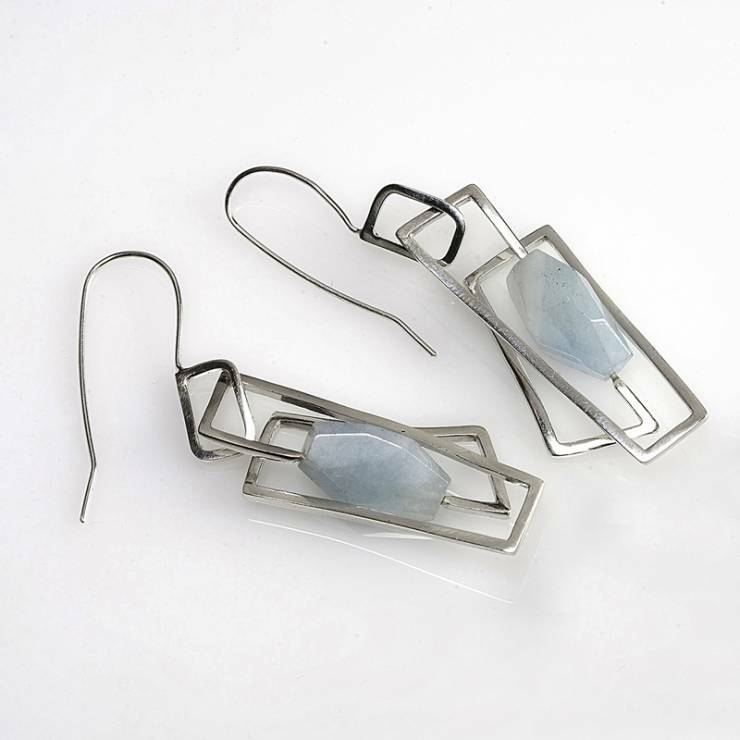 The large component pieces are approximately size 4.7cm each in size and the handmade rectangle links vary in size. 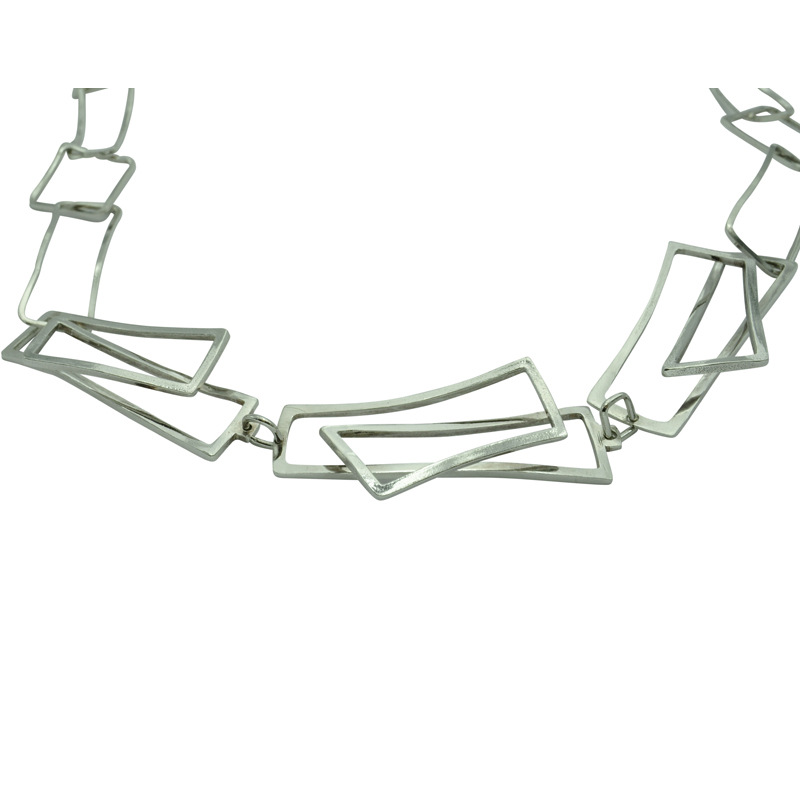 The necklace whole length is approximately 18″ and the silver has a polished finish.